Laminate flooring is one of the most inexpensive flooring materials and is most often the greatest bang for the buck. Definitely not a material that we recommend using in a kitchen or bathroom but one that is ideal for bedrooms, living rooms, dining rooms, and hallways. It is a durable material that will last 10-20 years in a home with moderate traffic. However in homes with pets and young kids laminate may not fair well for a very long time and may not be the best solution. LVT flooring is the most universal flooring option. More expensive than laminate flooring but also a lot more durable. LVT can be used in practically any room making it an ideal option for those looking to keep things simple. However LVT isn’t necessarily the most luxurious option and isn’t recommended for higher end homes where hardwood or tile would be more fitting. 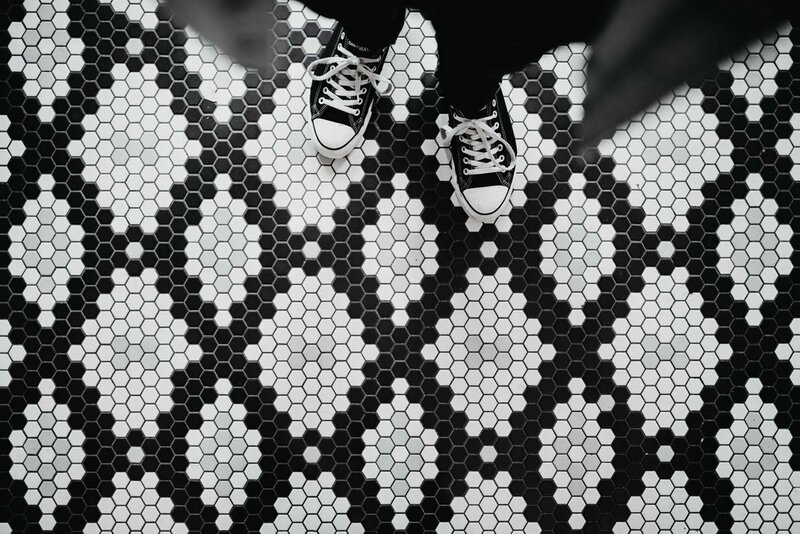 Tile floors will last for as long as you need it. Ceramic, porcelain, and natural stone tile is a high end flooring material that has been used in luxury homes for centuries. However it is important to note that tile is a cold material and unless you plan on insulating and placing radiant heating underneath it might not be a very comfortable material for the cold winter months. Due to the difficulty of installing tile flooring this isn’t an option for someone that wants to DIY the project. You will have to hire out to get the work done and tile installation costs a lot more to install than any other material. However even though tiling the whole house isn’t the best idea (financial speaking)… areas such as the bathroom or kitchen are definitely a great place to consider tile for. You will never have to worry about water damage and a simple mop will keep the tile clean and shiny. Cost of Tile flooring with installation included ranges from $8.00/sqft to $14.00/sqft. Many have dismissed carpet as a great flooring option after the horror stories of cheap, dirty, and disgusting carpet they may have experienced in the past. However that isn’t necessarily true. Carpet is a great solution for almost any homeowner. 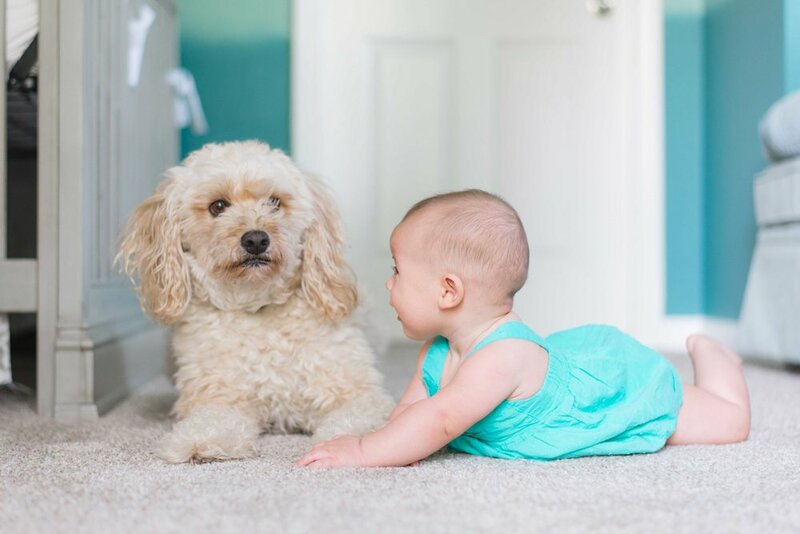 Carpet fibers capture dust mites and allergens better than any other flooring option. As long as you vacuum on a regular basis these dust mites and allergens will never be released into the air actually improving your air quality over other flooring options. With the advancement in stain proofing many carpet options are now stain resistant and will fair well with spills and messes. Carpet isn’t a great flooring solution for all over the house but for bedrooms it’s ideal. There isn’t an ideal flooring type… each one has it’s pros and cons in various scenarios. Hardwood & Laminate works best in living rooms, dining rooms, hallways, and occasionally bedrooms. LVT can work as a material in practically any room (including bathrooms, kitchens, and laundry rooms). Tile can also be used in any room but is probably not a good idea because of how expensive it is and cold. Which is why we recommend only using it in the kitchen and bathrooms. Carpet is a comfort material and should only be used in bedrooms and occasionally living rooms (generally rooms with less wear). We hope this post was helpful in your decision making process, if so please share it with your friends and family. Subscribe to our newsletter to receive weekly home improvement tips and updates.